I think I have a virus or malware? Help! description Re: I think I have a virus or malware? Help! Hello Dave, and thank you again. I got rid of the links like you said and was able to post. I had them on one document as a the pdf I tried to submit the other day so sorry if some are a little out of order. I have not seen any icons comeback yet or anything new. •Hold down Control and click on the following link to open ESET OnlineScan in a new window. Click on to download the ESET Smart Installer. Save it to your desktop. Double click on the icon on your desktop. •Accept any security warnings from your browser. Leave the check mark next to Remove found threats. •ESET will then download updates for itself, install itself, and begin scanning your computer. Please be patient as this can take some time. •Push , and save the file to your desktop using a unique name, such as ESETScan. Include the contents of this report in your next reply. Here is the log I got and for Malwarebytes do I delete the files that it said it moved to chest or quarantined? Or I don't have to worry about them? You can removed the files in quarantine in MBAM. How's your computer working now? Any other issues or questions? Okay I removed them. It seems to be okay so far. It is moving a little quicker than before it is about 4 years old so its performance has slowed down since I bought it. But nothing strange with icons or anything like that. I was wondering how I can avoid getting malware in the future and keep my PC going good at its age. Update your Adobe Reader. get.adobe.com/reader . Be sure to uncheck the Free McAfee Security Scan so it isn't installed. Old versions of Java have vulnerabilities that malware can use to infect your system. If there are any other version(s) installed then update now. If your version is out of date install the newest version of the Sun Java Runtime Environment . Note: UNCHECK any pre-checked toolbar and/or software offered with the Java update. The pre-checked toolbars/software are not part of the Java update. Be sure to close ALL open web browsers before starting the installation. 1. Download JavaRa and unzip the file to your Desktop. 3. Once complete exit JavaRA. Additional Note: The Java Quick Starter (JQS.exe) adds a service to improve the initial startup time of Java applets and applications. To disable the JQS service if you don't want to use it, go to Start > Control Panel > Java > Advanced > Miscellaneous and uncheck the box for Java Quick Starter. Click OK and reboot your computer. 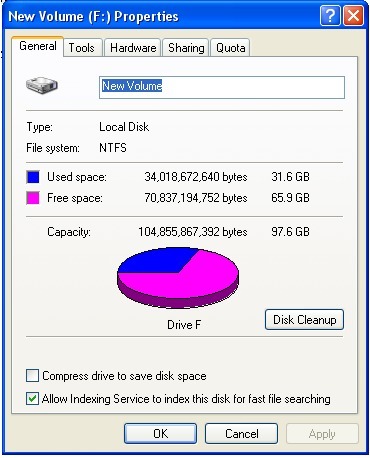 Click Disk Cleanup from there. Click OK on the Disk Cleanup Screen. Click Yes on the Confirmation screen. This is a very crucial step so make sure you don't skip it. Download DelFix by Xplode to your desktop. Delfix will delete all the used tools and logfiles. Double-click Delfix.exe to start the tool. Now click "Run" and wait patiently. Once finished a logfile will be created. You don't have to attach it to your next reply. I suggest using WOT - Web of Trust . WOT is a free Internet security addon for your browser. It will keep you safe from online scams, identity theft, spyware, spam, viruses and unreliable shopping sites. WOT warns you before you interact with a risky website. It's easy and it's free. Check out Keeping Yourself Safe On The Web for tips and free tools to help keep you safe in the future. Also see Slow Computer? It may not be Malware for free cleaning/maintenance tools to help keep your computer running smoothly. You're welcome. I will lock this thread. If you need it re-opened, please send me a pm.